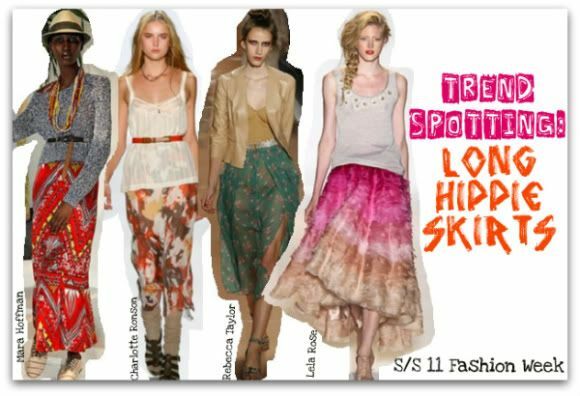 I've finally had a chance to look through some of the SS11 Fashion Week shows (which I've found to be more inspiring than they have in quite a few seasons), I've noticed some definite Spring 2011 trends emerging. 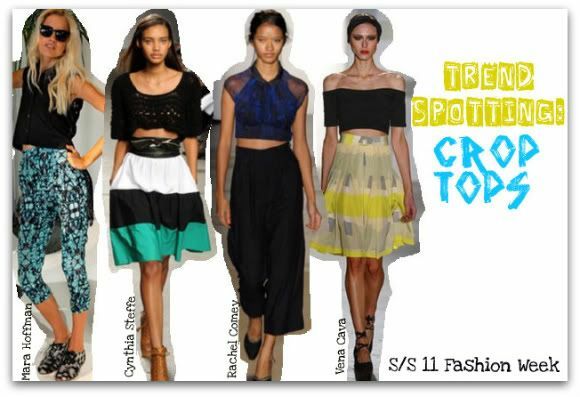 So far plunging v-necklines, long hippie skirts, and crop tops are all making a splash. So far my favorite shows have been Mara Hoffman, Tommy Hilfiger, Charlotte Ronson, and Vivienne Tam, and Erin Fetherston! Do you seen any trends emerging? What shows have you loved so far? Sheer fabrics and pops of orange are both huge trends for spring. Both are featured in one of my favorite collections, Lela Rose! Great post... loving this blog! I love that last crop top! So chic. Crops tops are my favourite from these. I can't wait to wear them now! I like the long hippie skirts. I love the plunging neckline and crop tops; so S/S! Have you seen the DKNY collection? I think you'd love it; it's so beautiful. Loving the plunging necklines, && that Derek Lam dress.